DFS Worldwide provides a worldwide network for all of your air freight needs, with granted and time-defined services, supported by preferred carriers. With our high tech information managing system, we can provide our customers with complete shipment information and updates. The main element of our air freight management service is the ability to move single or complex shipments by air, at any time, to any destination. We can manage the movement of a single shipment or a complicated freight project, with flexible and customer-friendly personalised service. As a member of IATA (International Air Transport Association), DFS has direct contracts with all airlines and has signed contractual rates, therefore is able to offer competitive rates with a reliable airfreight service worldwide. With over 150 daily flights and using Frankfurt - Germany as a transit hub, DFS is able to offer export/import services to/from all over Europe. This makes it possible to work with the time frames that our customers require. 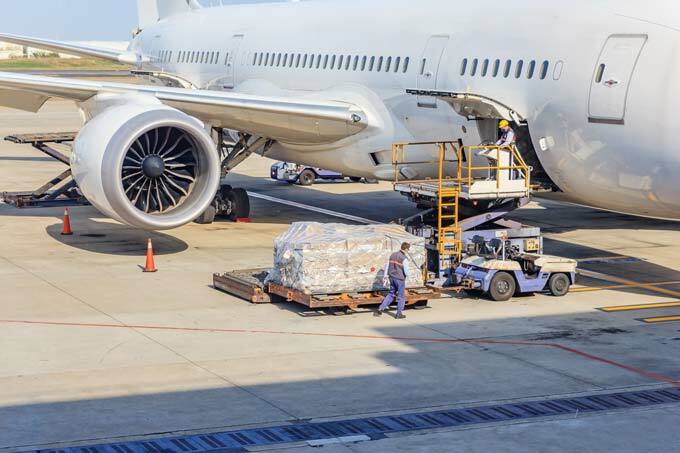 With nearly daily freighter connections to main and transit airports, shipments with larger dimensions and weights can be handled easily. We can also offer a charter service from all types and sized aircraft, if the cargo is too large for loading & off loading, or if it must arrive at the destination at the earliest. Please contact us and speak to our air freight specialists. Not suitable for heavy shipment.